Mayfield Hotel & Resort has prepared Christmas events for families. The Dear Santa package includes a visit by Santa to the room where guests are staying. 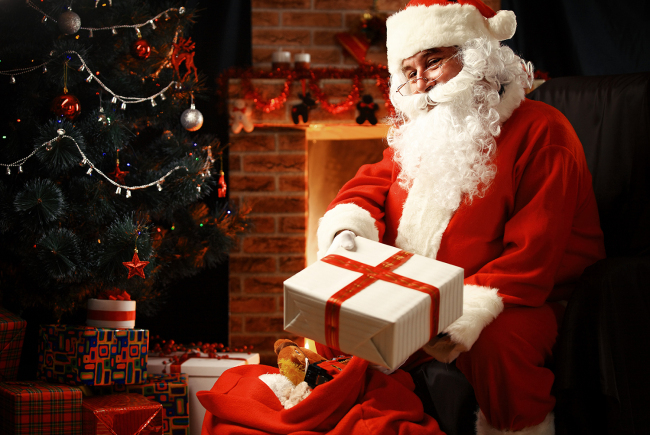 Santa will make a surprise visit on Christmas Eve and deliver a gift to the children. The hotel will also hold the party concert “Santa Claus is Coming to Mayfield” during which children can dance with their favorite fairytale characters. The event will be held twice -- on Christmas Eve and Christmas day. Buffet dining will be offered with the event. Guests of the Dear Santa package can receive a 10 percent discount for tickets to the party. For more information or reservations, call Mayfield Hotel & Resort at (02) 2660-9000. 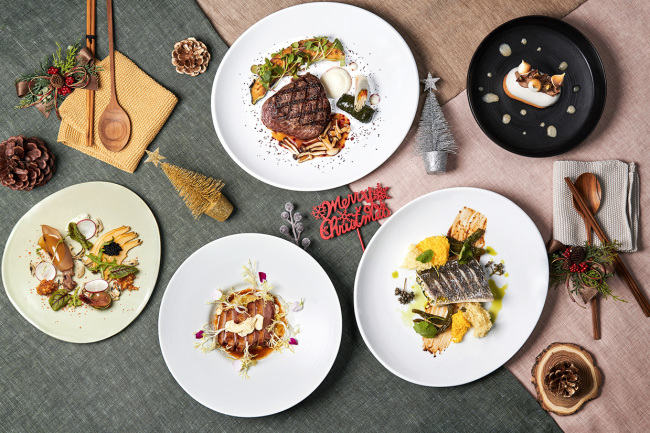 Park Hyatt Seoul’s Italian restaurant Cornerstone presents a Christmas set-course menu entitled Natale. The six-course meal offers lamb loin as the main dish, along with a glass of Italian sparkling wine. Natale is available from Dec. 21 to 24 at 188,000 won per person. The hotel’s modern Korean restaurant The Lounge offers a five-course Christmas dinner with a glass of champagne. Diners can chose between beef tenderloin and grilled sea bass for the main dish. The course menu is offered from Dec. 22 to 25, 29 to 31 at dinner. It costs 160,000 won per person. For more information, call Cornerstone at (02) 2016-1220 and The Lounge at (02) 2016-1234. The countdown party on Dec.31 starts at 9:30 p.m. and ends past midnight. Jazz and other live music performances are to take place at the rooftop bar of the hotel. Guests can choose a welcome drink --sparkling wine, gin tonic, vin chaud and lemon tea. 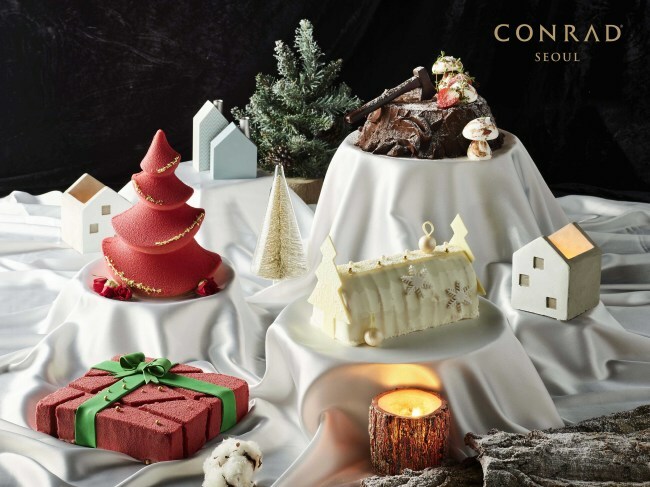 Conrad Seoul’s lounge cafe Flames introduces Christmas cakes in collaboration with French chocolate brand Valrhona. The Christmas Tree cake, which can be made in red or green, is filled with passion fruit-flavored chocolate cream. The Little Forest cake, inspired by France’s Buche de Noel, is made with almond chocolate ganache with roasted hazelnut. Strawberry ganache and berry compote complete the Christmas Present cake. A white version of Buche de Noel, creating an image of a white Christmas, is made with a white chocolate base, topped with chestnut cream. The Christmas cakes cost 60,000 won. For more information, call Flames at (02) 6137-7130. 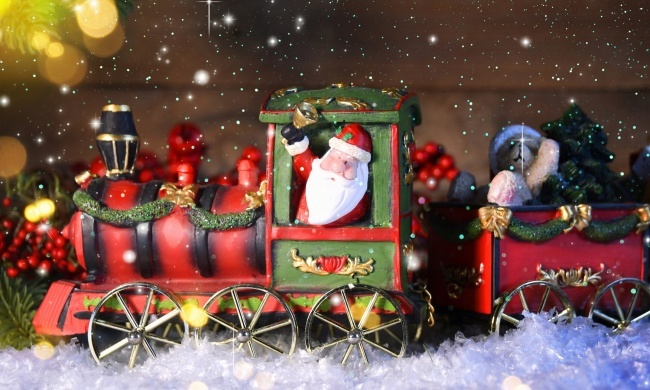 Millennium Seoul Hilton invites family guests during the holiday season with its Christmas Train package. The package includes a Deluxe Room. 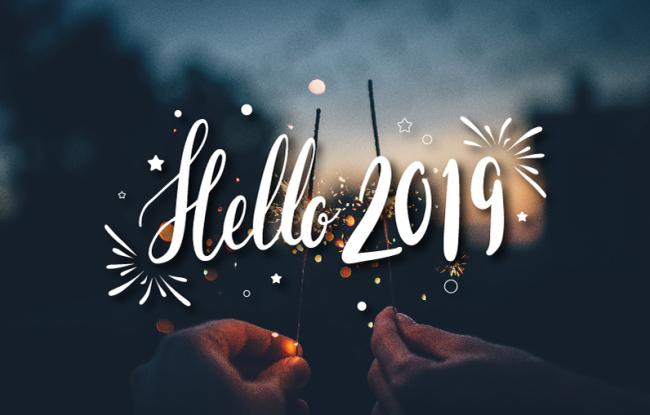 On days around Christmas and New Year’s Eve, a complimentary bottle of wine and cheese will be served. Depending on the day of stay, the price ranges between 210,000 to 260,000 won. Breakfast for two guests can be added at 40,000 won. Mountain View rooms are available for an additional 25,000 won. A 10-meter Christmas tree is set up at the hotel lobby, creating a holiday mood. For reservations, call Millennium Seoul Hilton at (02) 317-3000.